Does this count as a VVVVVV level? No, this should have been disqualified from the contest. No, but I guess it fits for a joke level contest. Yes, it's okay I guess. A4A4A4 is the level that I made for the joke level contest on the VVVVVV Discord Server. This level is 2 by 2 rooms big, contains two lost crew mates to rescue and one trinket to collect. However this level can not directly be played, but instead needs to be assembled first. 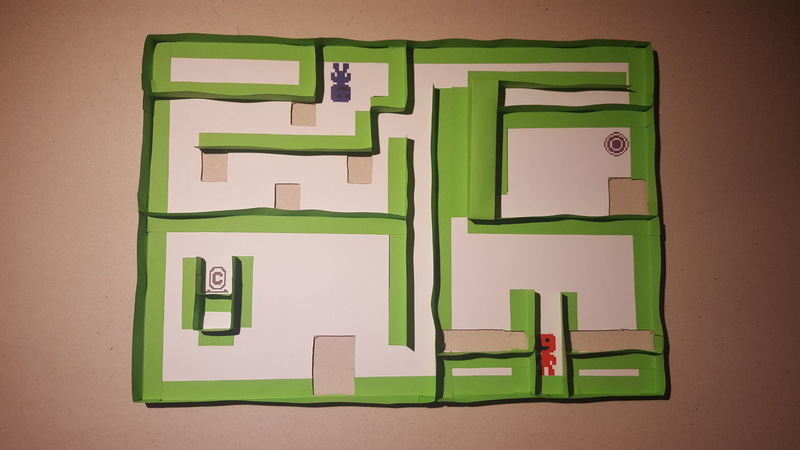 The level contains of three .pdf files one for the ground, one for the walls and a third one containing the instructions on how to assemble and play the level, it also contains the story of this level. This version contains some minor changes compared to the one submitted to the level contest, being a fixed typo, an extra picture for clarification at a certain point and the level now uses a better date format. You can download the level here.